When most people think of virtual reality (VR), video-gaming is probably the first thought that comes to mind. VR has the ability to provide an alternate universe, an escape from the mundane via computer-generated simulations of realistic, three-dimensional environments and images. In recent years, many schools have entertained the theory that VR improves education. Individuals may interact with various artificial environments through the use of VR headsets and often, gloves fitted with sensors. Many programs include sounds, vibrations, or other sensations to ensure the user has an experience similar to the real world. This tactic has been popular among military training applications for quite some time. If virtual reality is reliable enough to train our armed forces, is there any reason not to implement the same technique at educational institutions across the world? Imagine what today’s youth could learn about history, science, and art if developers utilized the possibilities of virtual reality to create educational games instead of those about zombies and car theft. VR technology is increasing at a rapid pace, and with each new app, there is endless learning potential. For example, Sony Playstation VR software and designs have evolved dramatically over the past few years, seeking to create a more comfortable and natural experience for users. The system is comprised of a peripheral camera originating from 2003, motion controllers first released in 2010, and a headset that emerged from a personal 3D theater in 2012. While the motion controllers still seem rather limited, the current design has peaked consumers’ interest in virtual reality while providing much easier access to the experience. While the benefits are plentiful, every good thing has some sort of disadvantage. Of course, the cost would be a top priority. VR headsets, applications, and equipment are still quite expensive. Implementation into schools would probably be a long-term project, initially investing in a small number of devices for students to share. In addition, each learner would need more space due to safety concerns. It is not recommended that students experience VR while sitting in or standing near a desk with other students nearby. One could fall or trip, possibly into another student, and personal space should be plentiful when wearing a VR headset. Another major disadvantage of virtual reality is that it disconnects the individual from other humans and emotions. 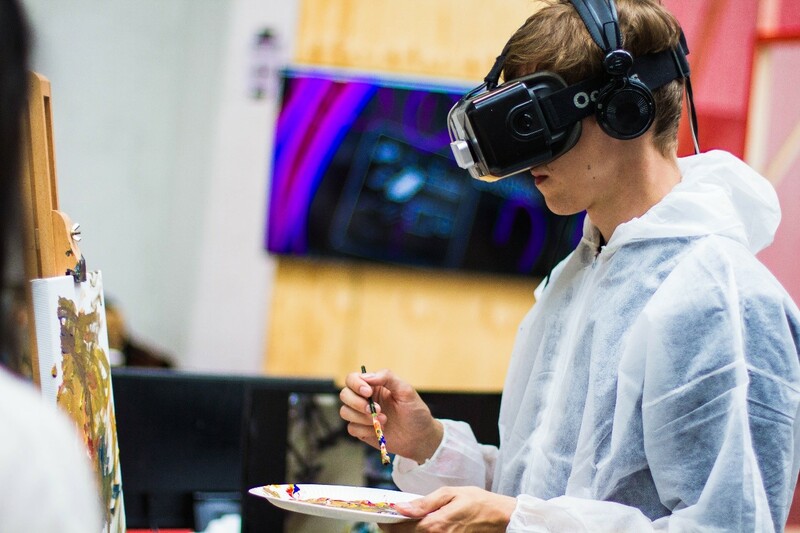 Unlike traditional education, in a classroom setting with teachers and students, VR connects the user to software without any actual personal interaction. While virtual reality is still being improved upon, it is definitely on the horizon as an alternative teaching method for schools throughout the world. Whether you are a fan of traditional teaching or not, VR is certainly gaining momentum due to its versatility as well as its ‘fun’ factor. Through interactive lessons and virtual role plays, students’ interest is peaked proving that VR does improve education. Author bio: Robert Hyde is a game passionate with great interest in virtual reality and technology devices. He likes to share technology tips with his readers on his project – TopBestVR. Robert graduated with a Masters in Information Technology at Bentley University.